Michelle and Ben were married at the Mooloolaba Spit with their reception held at the Mooloolaba Surf Club. It turned out to be a very rainy day which was a shame but as you can see by the photos they had an amazing day despite the rain. They had cute renovated Kombi's as their wedding cars which so suited their beach theme. I met with Michelle prior to her wedding for her makeup trial after she had had a trial elsewhere that didn't feel and look like her. Michelle so very much reminds me of Catherine Zeta Jones or Demi Moore - such a stunning face for makeup! We did a classic romantic look for makeup with Michelle opting for my natural semi -permanent eyelash extensions for the big day. You can see in the photos how her lashes are flawlessly full and give a wide-eyed glamorous look without being overdone. 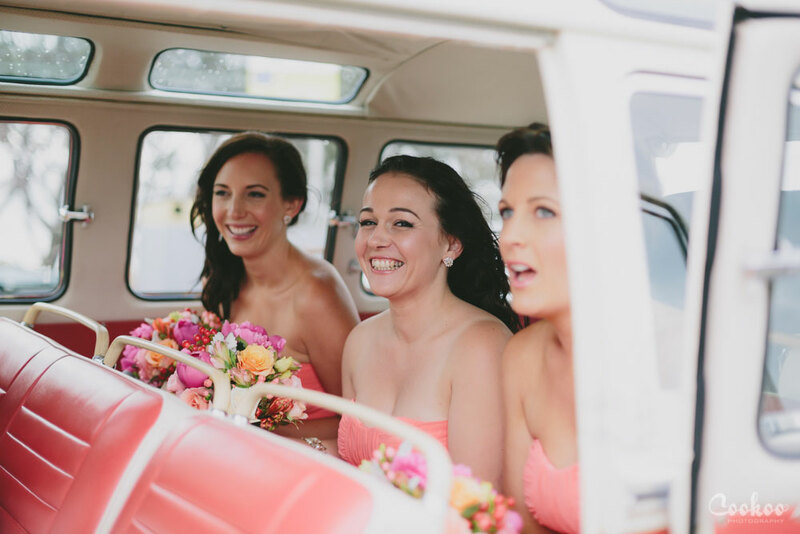 Sheer foundation was applied to Michelle's skin, soft pretty eye colour with peachy-pink lips and cheeks to tie in with the bridesmaids dresses and flowers. Nicola from Hair by Nicola did a beautiful job in creating a classic low up style to show off her gorgeous veil and head piece! For the bridesmaids we decided the makeup should focus on eyes with glowing blushed cheeks and sheer glossy lips. 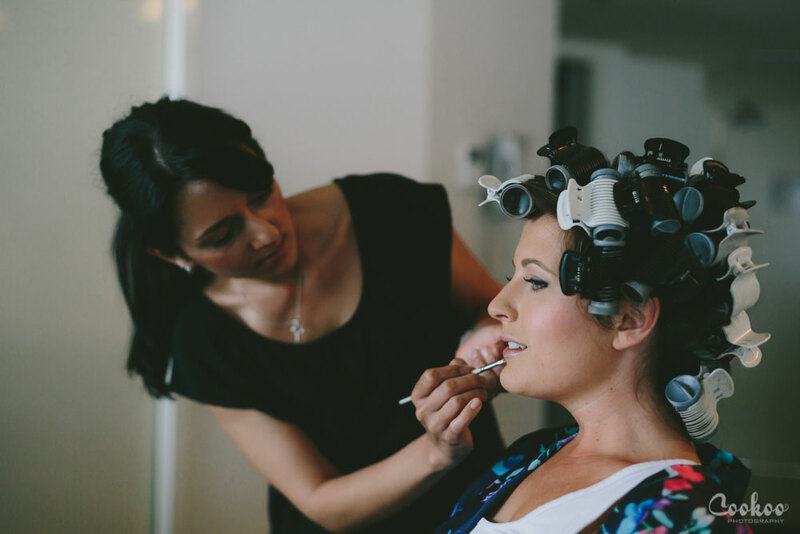 A look easy to maintain for busy bridesmaids and natural enough that everyone feels and looks like themselves not like they've had a complete image makeover. With such a pretty peach dress too much makeup would have overpowered the softness of their dresses. Let me know your comments below and remember to subscribe to the blog to get email updates on future posts.